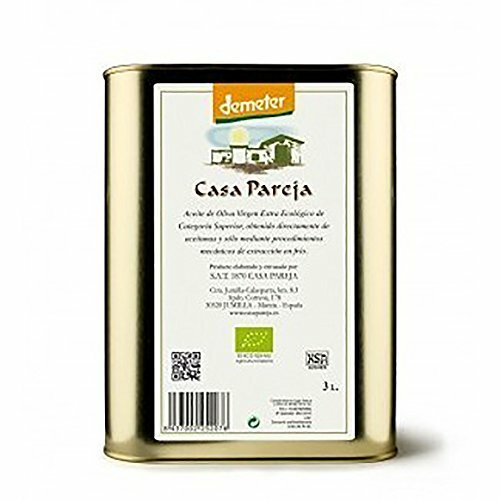 Casa Pareja is an artisanal unfiltered olive oil, which is made in accordance with the strictest guidelines of the EEC Organic bylaws. Juan takes great pride in his oil, which he makes with a blend of Arbequina, Cuquillo and Hojiblanca olives that are carefully harvested from his own trees. Much like the great oils of Italy, the fruit of these ancient trees (most are about 400 years old) gives us an oil with real integrity and balance, combining a refined taste of fruit, full body, and gentle acidity. Casa Pareja is an artisanal unfiltered olive oil, which is made in accordance with the strictest guidelines of the EEC Organic bylaws. Juan takes great pride in his oil, which he makes with a blend of Arbequina, Cuquillo and Hojiblanca olives that are carefully harvested from his own trees. Much like the great oils of Italy, the fruit of these ancient trees (most are about 400 years old) gives us an oil with real integrity and balance, combining a refined taste of fruit, full body, and gentle acidity. If you have any questions about this product by Casa Pareja, contact us by completing and submitting the form below. If you are looking for a specif part number, please include it with your message.